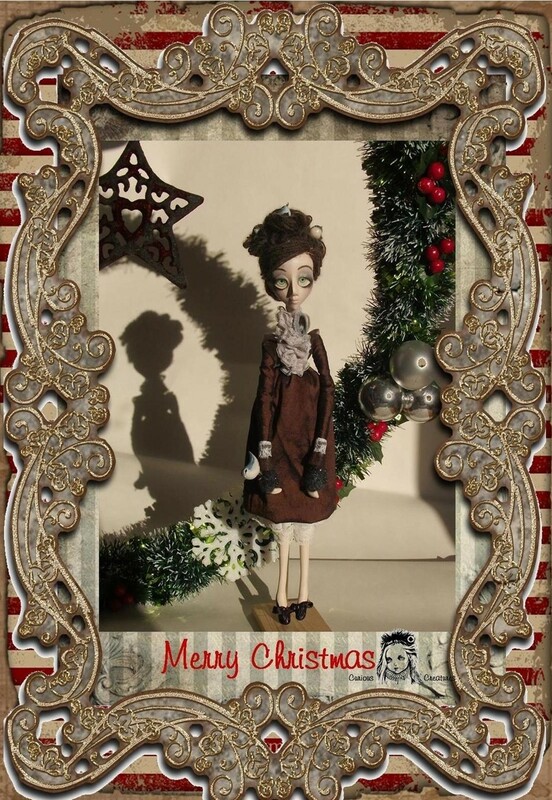 Sam Crow is a contemporary UK based artist and doll maker whose spooky dolls have earned her a cult following. Some say we lose as much as we gain once we enter adulthood. Think about it, the imagination of childhood –all that richness, the adventure, the strange almost supernatural character of this space. It seems that something joyful exists along with a certain rawness of experience. 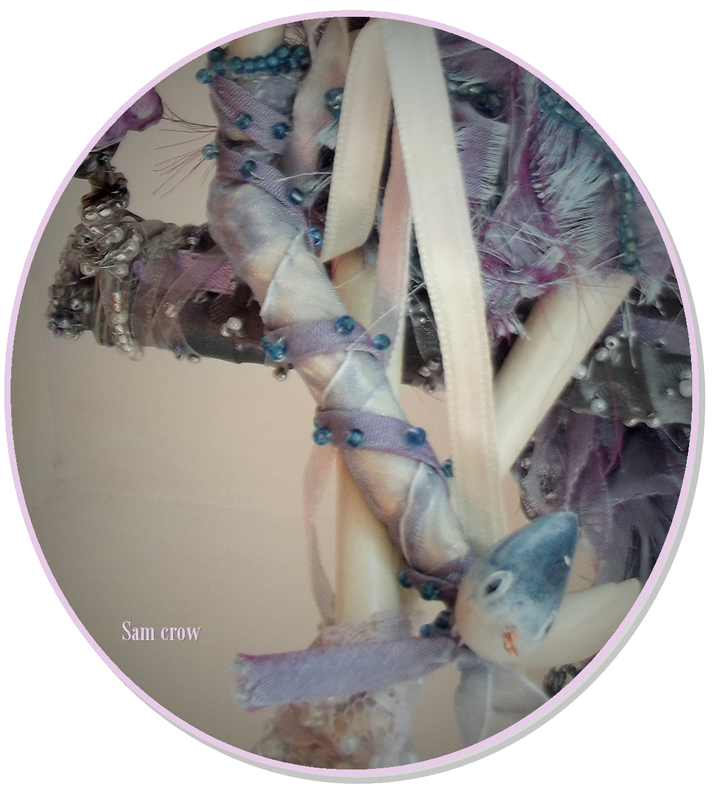 This is the space of the artist and doll maker Sam Crow. 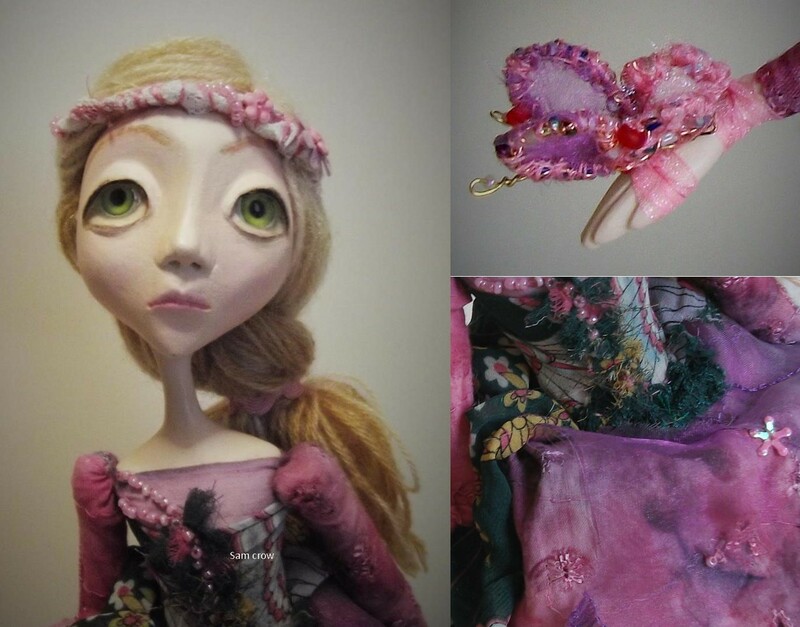 She is a weaver of extraordinary fairy tales, so whether your taste is for the neo-gothic or curious or just the hand crafted, you will find her creations undeniably arresting. Her world posesses a certain sorcery to it, opening chambers long hidden, in the tradition of old mysteries…a place to escape. 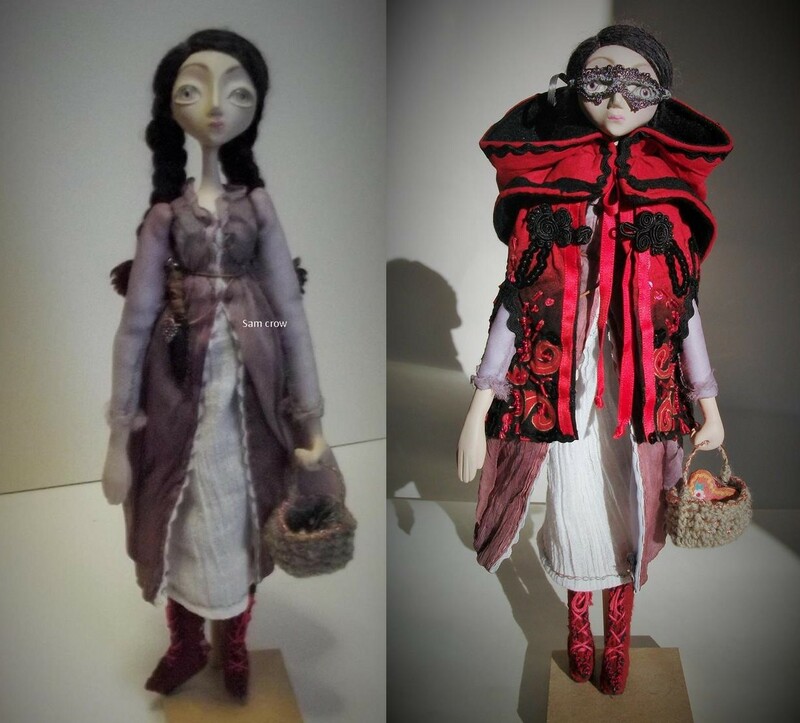 It’s a delight to interview Sam and premiere these two dolls from Sam’s second set of the Children of the Pied Piper: Vincent and Vanessa Vespertilio. 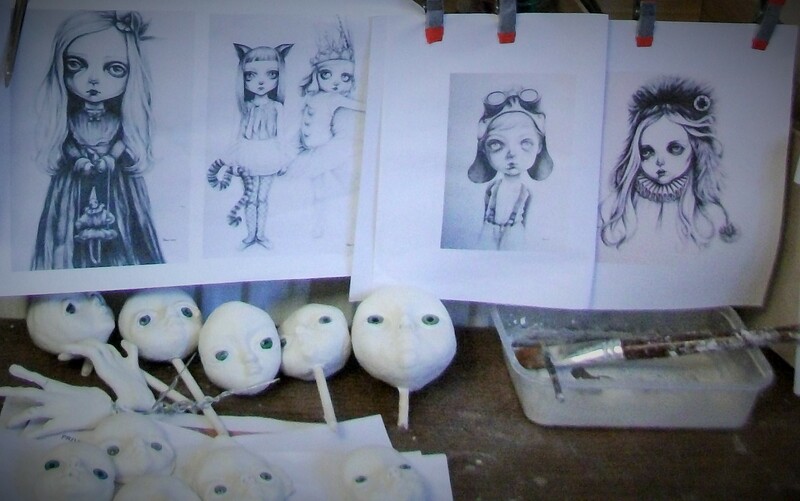 There are 13 dolls in total, fabricated using a mix of textile and clay over a wire frame and clay heads. Sam notes they reflect most strongly her time in Germany as a child and the influence of the Brothers Grimm. Time really begins to drag when you’re undead; especially if you’re a child. And making new friends is practically impossible. Any potential candidates are usually getting tucked up into bed when you’re being dragged out of yours. Sleepovers could be a solution, but apparently, no one wants to risk a sleepover at a vampire’s house. No matter how friendly Vanessa tried to make her face, or how many invitations she sent out with little hand drawn promises not to bite guests, no one ever seemed willing to accept. She’d long since given up trying. Who needed friends anyway, they just turned into adults. 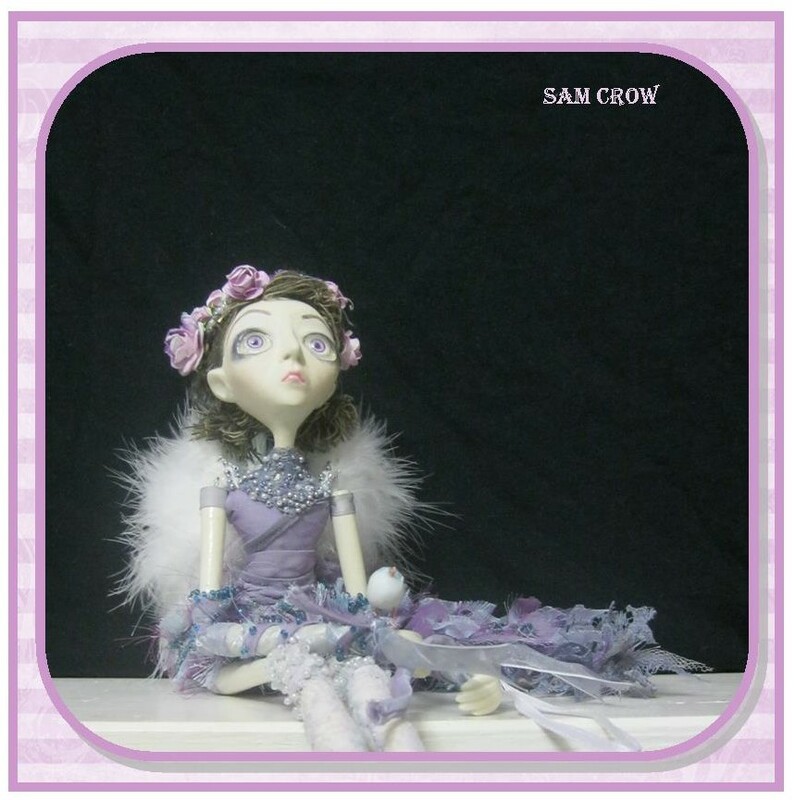 Sam, it seems, exists perpetually in the world of childhood imagination, telling an incredulous but rapt listener, that her ghost-like dolls reveal their stories to her once she has created their costumes. Clearly, I for one, shall never fully escape the allure of the Victorian era, and neither shall Crow’s dolls who appear stuck forever in a Dickensian era purgatory, yet can coaxed out of their solitude and quiet, through encouraging words, care and of course, and a sort of simpatico for magical things. 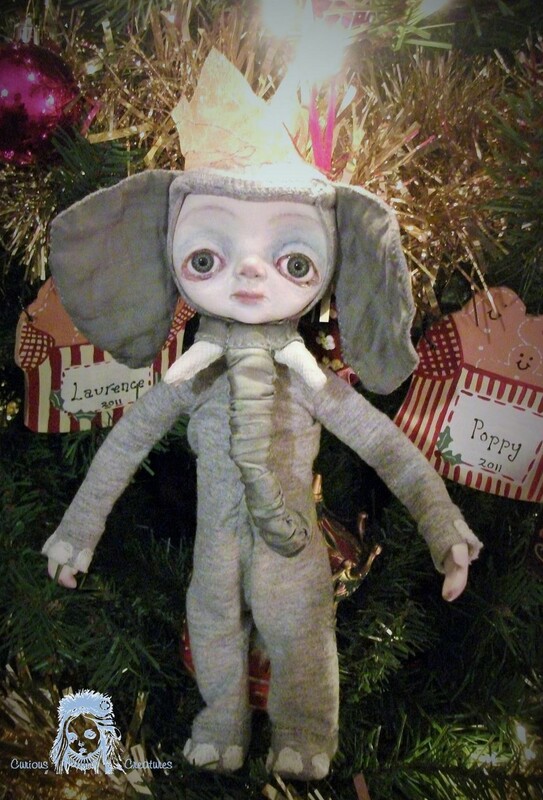 Each doll is entirely hand-made and unique, she begins the process with a template, followed by the construction of a wire skeleton, clay, or fabric and finally clay sculpted bodies. She uses wool for the hair, and hand paints each face. Sam creates the costumes from new, vintage, and repurposed fabrics. For some costumes, she achieves a sense of time-worn shabbiness over-sewing layers of cloth. 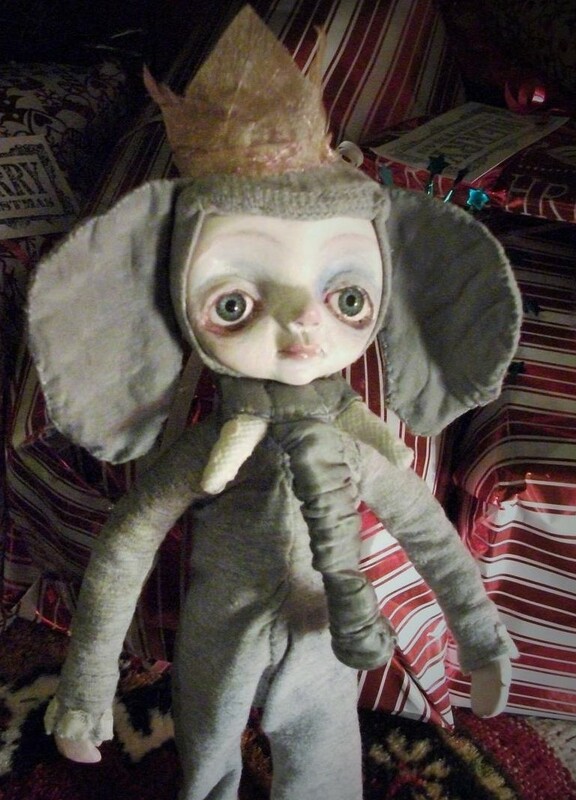 The artist meticulously photographs each doll, and makes a book telling each story with photos and the creation process. Her own childhood as well feeds this pictorial vision, or at least her memory of this time. I would count Sam as a lucky adult, to be able to tap into this childish wellspring of endless imagination, fantasy, myth-making, and most of all youthful heroines and heroes. The story books remind me of the tales told during playtime, creative stories told as you go. One rather feels that one has fallen down the rabbit hole, so it is no surprise that the artist is enamored with the work of Lewis Carol. The only child of a career soldier, the artist spent her childhood moving from place to place, creating an interior world for friendship and entertainment, reading, writing, and drawing. She shares that she was a very lonely child with a rich imagination that often took her to dark places including nightmares and hallucinations. A period spent at a boarding school run by nuns was the beginning of Sam’s imaginative stories of the lives of people past. This school in an old manor was of course, replete with hidden passages and towers, a place for refuge for the young girl. Sam found a trunk of old photographs in one of the off-limits towers, and became a constant visitor, making up stories about the subjects in the pictures. Another forbidden room contained old clothing. What richness she found, in the school where one was not allowed to bring toys or keepsakes along. She notes she never took a thing, afraid of the vengeance of ghosts. RB: How did you begin making doll sculptures? SC: I studied theatre design at university, and we had to make tiny little figures to inhabit our model box theatre sets-mine were created from paper and clay – and I think creating them was probably my favorite part of the whole process. 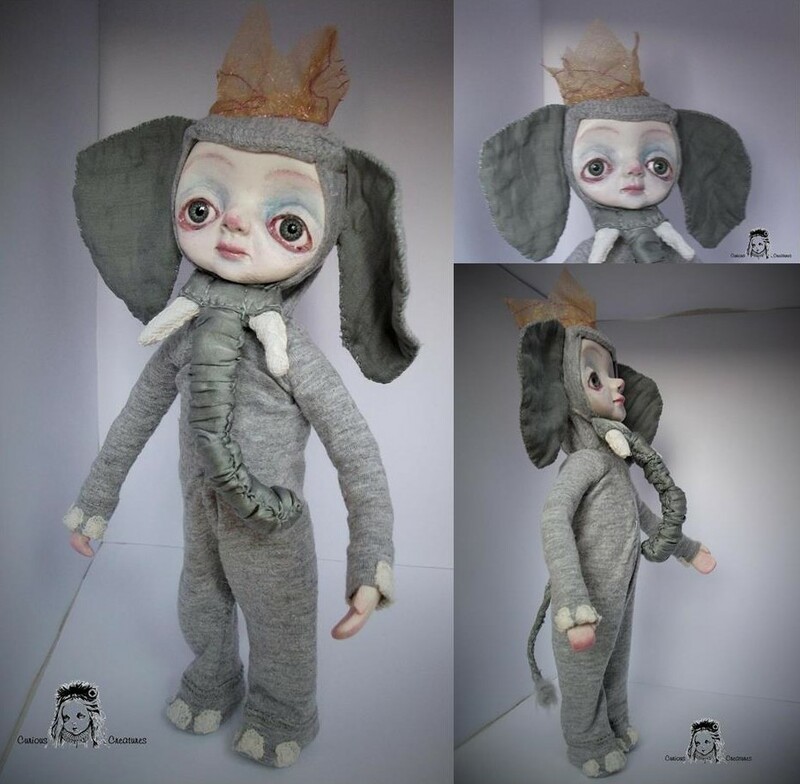 I made my first art doll in 2012 – Katia and her Puppet – she was a complete serendipitous experiment – at the time I was working with textiles, creating my ‘drawings with stitches’ pieces –freehand machine embroidered drawings on fabric, and I had a pile of canvas off cuts on my studio table that caught my attention –I found myself sewing them all together to form the beginning of a little figure. RB: This was a transitional point for you? 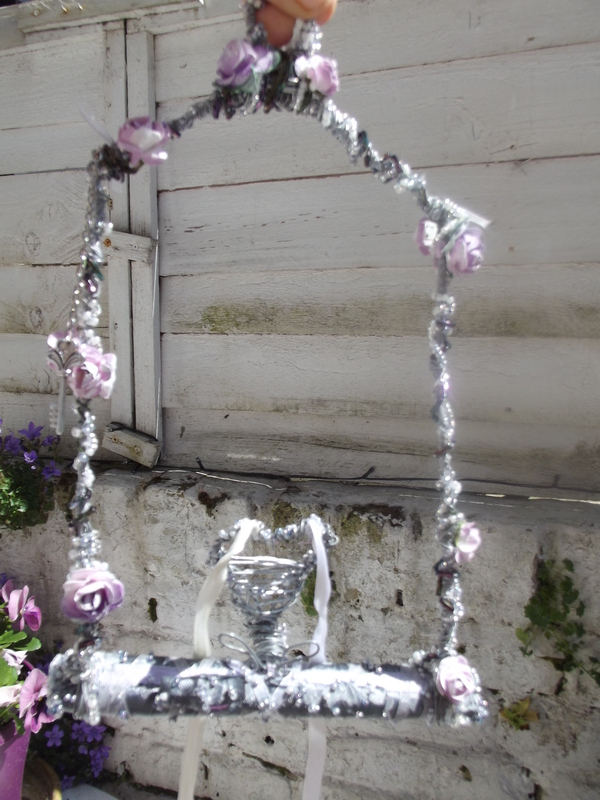 SC: Once I realized what I was making, I created a wire skeleton and padded it out with wadding and continued sewing the patchwork skin on to this skeleton. My little figure needed a face, so I made a head of clay, painted the face, and added a wig from wool scraps. I made her a dress out of the fabric offcuts from the textile piece I was working on at the time. I decided to make the little figure a tiny stringed puppet. 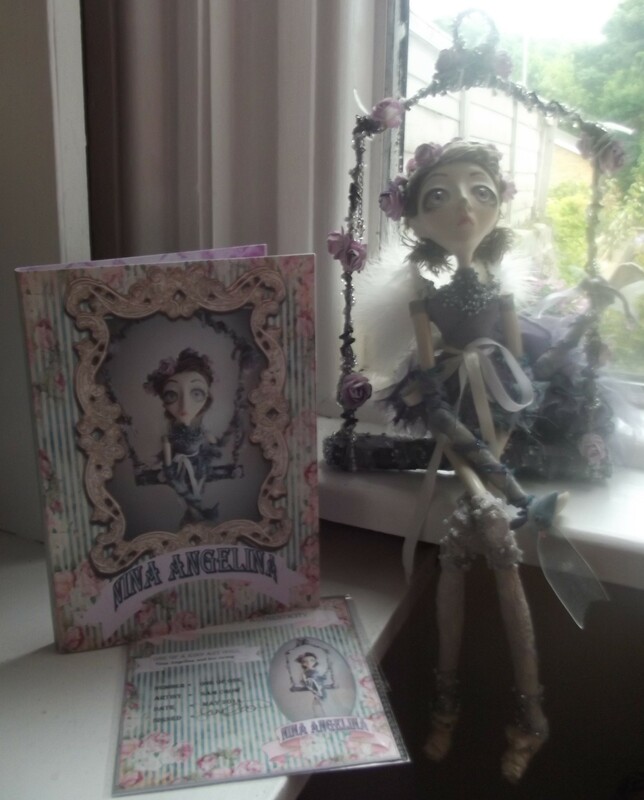 As I was working on her, she began to come alive and took on a personality –she actually became quite vocal – so I gathered up everything she had told me whilst we were working and wrote a little story to go with her! 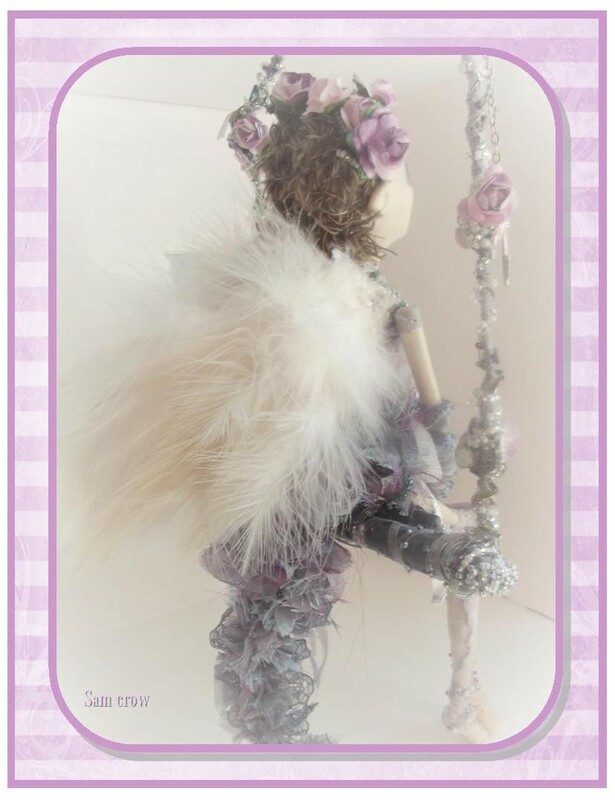 At the time, I had no idea that there was such a thing as art dolls, and I wondered how on earth to categorize her. She sat in the window of my next textile exhibition and to my surprise drew a lot of attention. RB: And today you work in a similar way? SC: The dolls are all one of a kind and unique, much like us larger people. I don’t make any molds from them, or use any in their making – it is an organic process. They all end up looking different and having different quirks and idiosyncrasies. Some of the faces are crooked, none are perfect, but I like this, as it is rare to find a perfectly symmetrical face in us larger beings too, and this adds personality, and makes them more alive for me. RB: Do you make the dolls in groups or series? SC: I tend to make the dolls in batches, so that I am working on a few at the same time during each different process that goes into their making. After my first doll Katia and her puppet, I made my first collection of about 11 dolls. These all had a clay body and wooden limbs sometimes covered in clay, with wooden bead and string joints, and fully clay heads, and stood with the aid of doll stands. RB: And you also have made moving dolls such as Professor Mercurio Mann and his extraordinary Ambulating Auditorium contraption? SC: Yes, these are inspired enchanting Victorian style clockwork toys that clap or play that have always enthralled and terrified me! As well, my grandfather made moving wooden sculptures driven by wind. SC: Professor Mercurio Mann is a one-man band. I made his instruments too and they move about and bang with the pull of strings or the winding of handles, which can be seen in video. 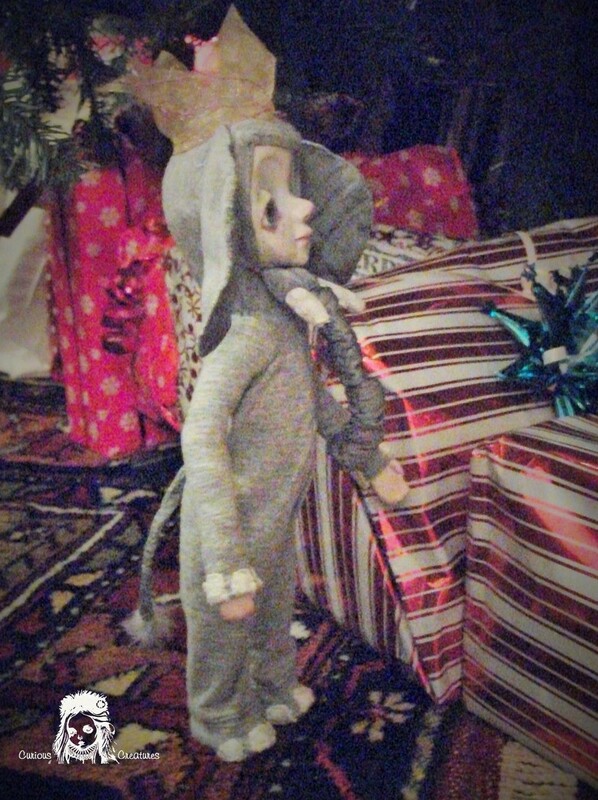 This little fellow was found scampering around the presents under my christmas tree … I managed to capture him with the aid of some peanut butter on toast and sent him off to France and his new home …. Little Red Riding Hood and Evangeline the Dancer are both off on adventures…. Both Little Red and Evangeline have packed their bags and are off on exciting adventures to new places … Little Red Riding Hood is joining Fran on her move into a new home, and Evangeline is travelling all the way to Chile!!!!! How exciting ! 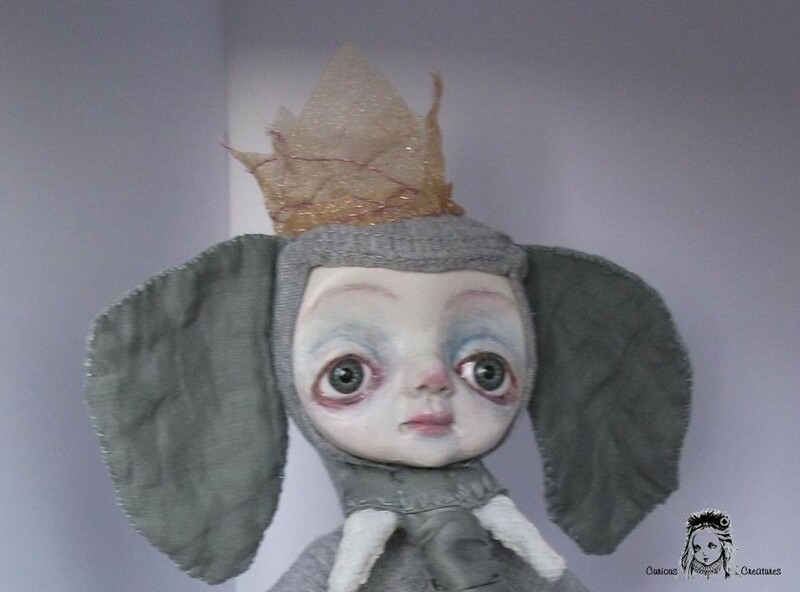 Only Alicia remains in my etsy shop … waiting to be rescued …. On one hand Nina is holding a little friend, a clay and wire bird, hand painted with a wire beak, her other hand can be attatched to the arm of the swing with a ribbon around her wrist. 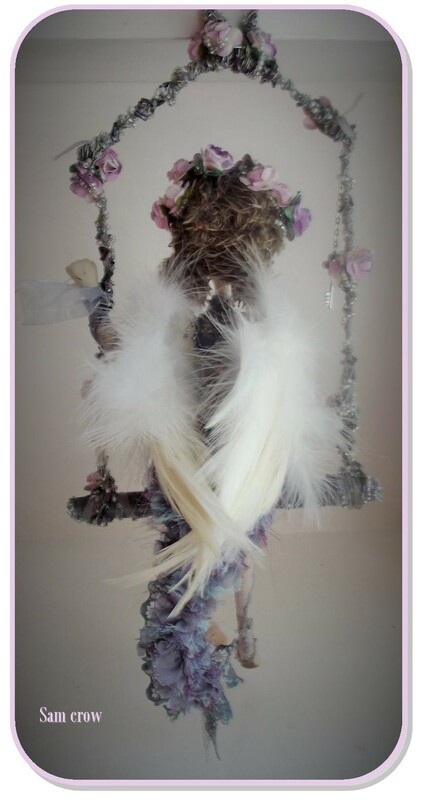 Nina’s head was sculpted from clay and painted with acrylic paint before being sealed with a matt varnish for protection.Her hair is made with wool and decorated with a wire headpiece decorated with beads and flowers. Her body was also sculpted from clay over wire, and her limbs from wood and clay with bead and ribbon joints to enable movement. All her clothes are also hand-made and hand stitched by me. 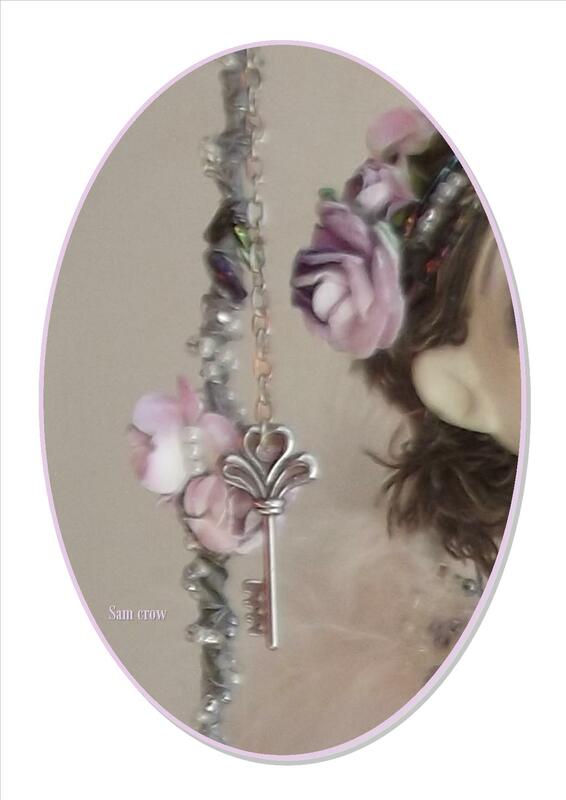 She wears white lace stockings with bead decoration and a lilac voile dress, with a long ruff trail, also decorated with lots of hand sewn beads and ribbons. Her arms have more voiles and ribbons and bead details on them, and she is wearing a pair of ballet pumps on her feet.